River Science is a rapidly developing interdisciplinary field at the interface of the natural sciences, engineering and socio-political sciences. It recognises that the sustainable management of contemporary rivers will increasingly require new ways of characterising them to enable engagement with the diverse range of stakeholders. 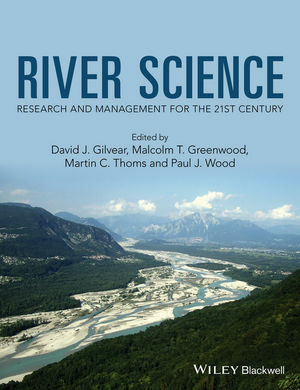 This volume represents the outcome of research by many of the authors and their colleagues over the last 40 years and demonstrates the integral role that River Science now plays in underpinning our understanding of the functioning of natural ecosystems, and how societal demands and historic changes have affected these systems. The book will inform academics, policy makers and society in general of the benefits of healthy functioning riverine systems, and will increase awareness of the wide range of ecosystem goods and services they provide.